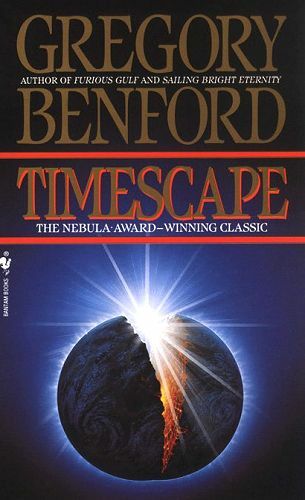 Yesterday, over beer and burgers, I got in a discussion with Savannah-based author James Caskey about our favorite time travel stories which prompted me to put together a list of essential novels in the genre. Any of these would be great beach reading. So, forgo the weekly James Patterson published novel and go with one of these classics instead. Listed in alphabetical order. Quite brilliant. The colonization of Egypt by western European powers is the launch point for power plays and machinations. Steeping together in this time-warp stew are such characters as an unassuming Coleridge scholar, ancient gods, wizards, the Knights Templar, werewolves, and other quasi-mortals, all wrapped in the organizing fabric of Egyptian mythology. The reluctant heroes fight for survival against an evil that lurks beneath the surface of their everyday lives. This is one of the first (and the best) of the alternative history novels that ask: What if the South won the Civil War? Politically complex, astute and endlessly fascinating. The point of divergence occurs when the Confederate States of America wins the Battle of Gettysburg and subsequently declares victory in the “War of Southern Independence” on July 4, 1864 after the surrender of the United States of America. 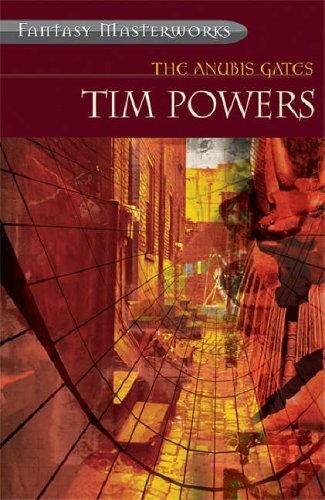 The novel takes place in the impoverished United States in the mid-20th century as war looms between the Confederacy and its rival, the German Union. History takes an unexpected turn when the protagonist Hodge Backmaker, a historian, decides to travel back in time and witness the moment when the South won the war. This story is both a whimsical fantasy and a social satire chock-full of brilliant Twainisms. 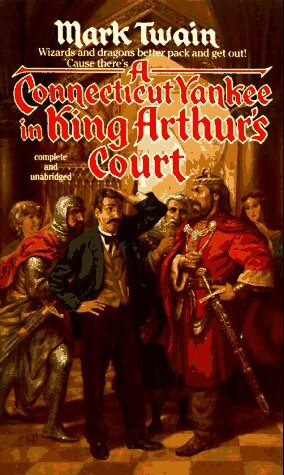 Hank Morgan, a 19th century American-a Connecticut Yankee-by a stroke of fate is sent back into time to 6th century England and ends up in Camelot and King Arthur’s Court. Although of average intelligence, he finds himself with knowledge beyond any ofthose in the 6th century and uses it to become the king’s right hand man, and to challenge Merlin as the court magician. Astounded at the way of life in Camelot, Hank does the only thing he can think of to do: change them. In his attempt to civilize medieval Camelot he experiences many challenges and misadventures. Enter a decaying far, far future society, a time when anything and everything is possible, where words like ‘conscience’ and ‘morality’ are meaningless, and where heartfelt love blossoms mysteriously between Mrs Amelia Underwood, an unwilling time traveller, and Jherek Carnelian, a bemused denizen of the End of Time. The Dancers at the End of Time is a brilliant homage to the 1890s. 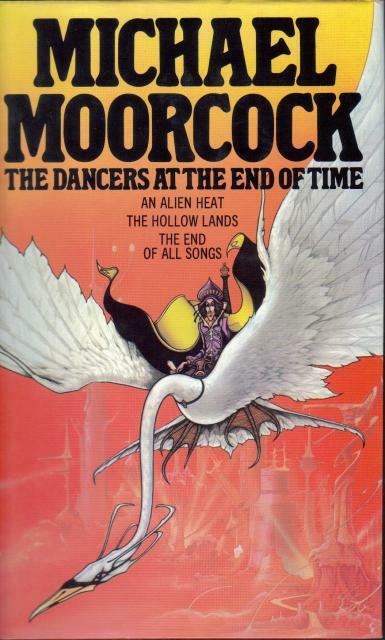 The series include the following novels: An Alien Heat, The Hollow Lands and The End of All Songs. 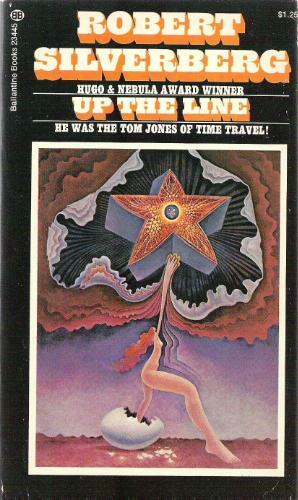 The first rock n roll time-travel novel! In the song “American Pie” Don McLean asked the question: “Can music save your mortal soul?” Glimpses answers that question with a resounding “YES!” Ray Chackleford is an unstable, self-employed electronics repairman whose marriage is foundering and whose father has recently died. These unresolved relationships are complicated when Ray travels to the Mexican site of his father’s death and promptly falls in love with a woman even more unstable than he. In the midst of this emotional turmoil, Ray–a rock drummer during his youth in the late Sixties–begins to hear music in his head and manages to transfer to tape legendary unfinished recordings by Jim Morrison, Brian Wilson, and Jimi Hendrix. This music is accompanied by “journeys” into the troubled lives of these rock musicians. 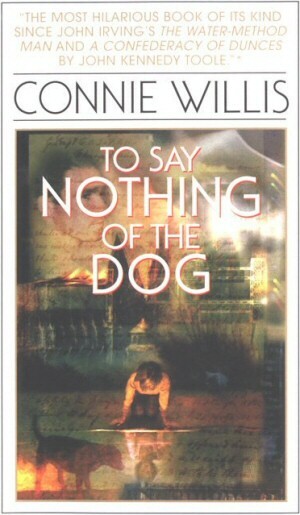 Shiner’s appealing main character and his gripping style overcome the less believable aspects of his story. 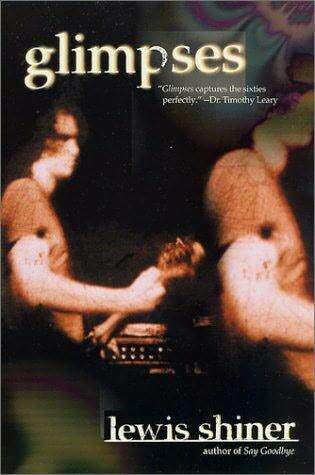 If you love classic rock and roll, this is a must read! In the year 2100, mankind on Earth, settlers in a lunar colony and aliens from the para-universe, a strange universe parallel in time to our own, are faced with a race against time to prevent total destruction of the Earth. The invention of the Inter-Universe Electron Pump has threatened the rate of hydrogen fusion in the sun, leading, inevitably, to the possibility of a vast explosion — and the vapourization of the Earth exactly eight minutes later . 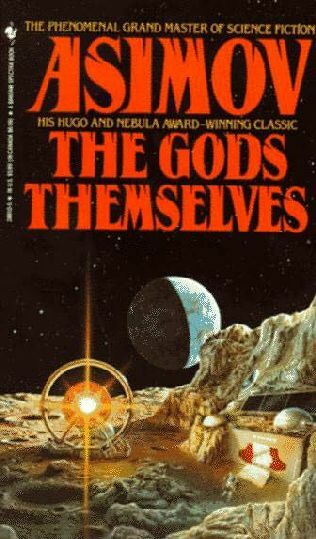 . . Asimov, is always, accurate and brilliant. The science is plausible. Two titans of hard SF–multiple award-winning British authors Clarke (Rendezvous with Rama) and Baxter (The Time Ships)–team up for a story of grand scientific and philosophical scope. Ruthless Hiram Patterson, the self-styled “Bill Gates of the twenty-first century,” brings about a communication revolution by using quantum wormholes to link distant points around Earth. 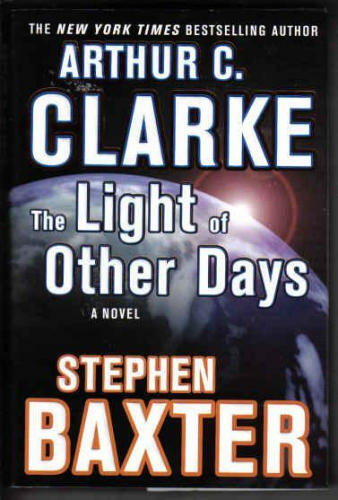 Not content with his monopoly on the telecommunications industry, Patterson convinces his estranged son, David, a brilliant young physicist, to work for him. While humanity absorbs the depressing news that an enormous asteroid will hit Earth in 500 years, David develops the WormCam, which allows remote viewers to spy on anyone, anytime. The government steps in to direct WormCam use–but before long, privacy becomes a distant memory. Then David and his half-brother, Bobby, discover a way to use the WormCam to view the past, and the search for truth leads to disillusionment as well as knowledge. Only by growing beyond the mores of the present can humanity hope to survive and to deal with the threats of the future, including that asteroid. The exciting extrapolation flows with only a few missteps, and the large-scale implications addressed are impressive indeed. 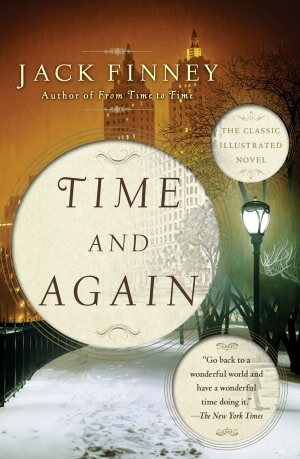 Daniel Eakins inherits a time machine and soon realizes that he has enormous power to shape the course of history. He can foil terrorists, prevent assassinations, or just make some fast money at the racetrack. And if he doesn’t like the results of the change, he can simply go back in time and talk himself out of making it! But Dan soon finds that there are limits to his powers and forces beyond his control. A wild ride! Tagiri and Hassan are members of Pastwatch, an academic organization that uses machines to see into the past and record it. Their project focuses on slavery and its dreadful effects, and gradually evolves into a study of Christopher Columbus. They eventually marry and their daughter Diko joins them in their quest to discover what drove Columbus west. 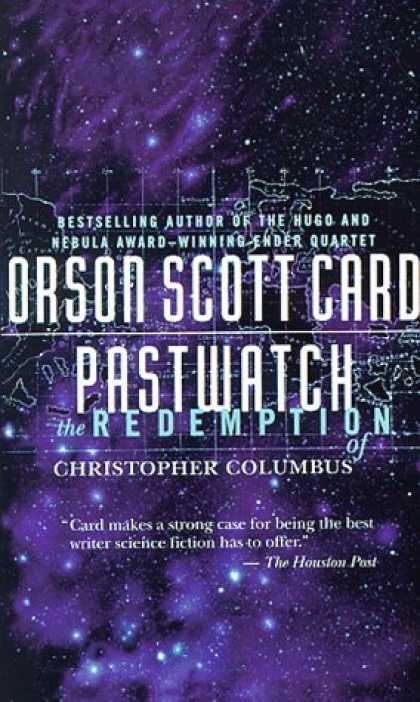 Columbus, with whom readers become acquainted through both images in the Pastwatch machines and personal narrative, is portrayed as a religious man with both strengths and weaknesses, a charismatic leader who sometimes rose above but often fell beneath the mores of his times. An entertaining and thoughtful history lesson. What if you could live your life over and over, and over again? Jeff Winston, a failing 43-year-old radio journalist, dies and wakes up in his 18-year-old body in 1963 with his memories of the next 25 years intact. He views the future from the perspective of naive 1963: “null-eyed punks in leather and chains . . . death-beams in orbit around the polluted, choking earth . 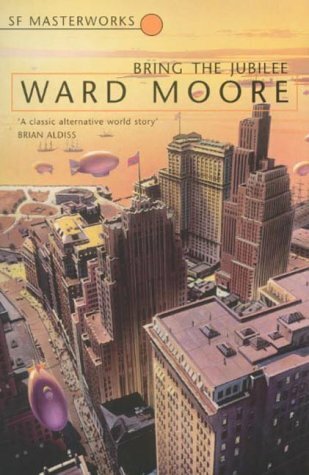 . . his world sounded like the most nightmarish of science fiction.” Grimwood transcended genre with this carefully observed, literate and original story. Jeff’s knowledge soon becomes as much a curse as a blessing. After recovering from the shock (is the future a dream, or is it real life? ), he plays out missed choices. In one life, for example, he falls in love with Pamela, a housewife who died nine minutes after Jeff; they try to warn the world of the disasters it faces, coming in conflict with the government and history. A third replayer turns out to be a serial killer, murdering the same people over and over. Jeff and Pamela are still searching for some missing part of their lives when they notice they are returning closer and closer to the time of their deaths, and realize that the replays and their times together may be coming to an end. A brilliant book. An all-time classic. 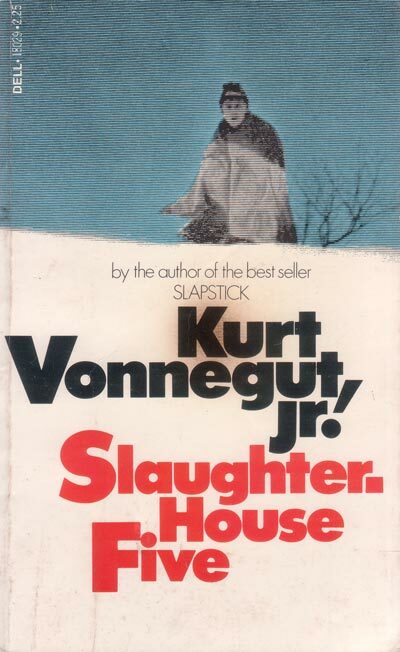 “Listen: Billy Pilgrim has become unstuck in time.” After he is abducted by aliens from the planet Tralfamadore, Pilgrim’s life unfolds in a display of plot-scrambling virtuosity, concentrating on his shattering experience as an American prisoner of war who witnesses the firebombing of Dresden. Okay, we’ve all read it. If not … what are you doing reading this blog? ‘Nuff said. In 2057, Ned Henry, an Oxford expert in the 20th century, jumps back and forth from the 1940s to correct a loose screw in the works of the time continuum. A tongue-in-cheek raspberry to Victorian novels, the story unfolds with such madcap screwball intensity it makes the pages burn your fingers as you read. This a fun ride! Being a Time Courier was one of the best jobs Judson Daniel Elliott III ever had. It was tricky, though, taking group after group of tourists back to the same historic event without meeting yourself coming or going. Trickier still was avoiding the temptation to become intimately involved with the past and interfere with events to come. The deterrents for any such actions were frighteningly effective. 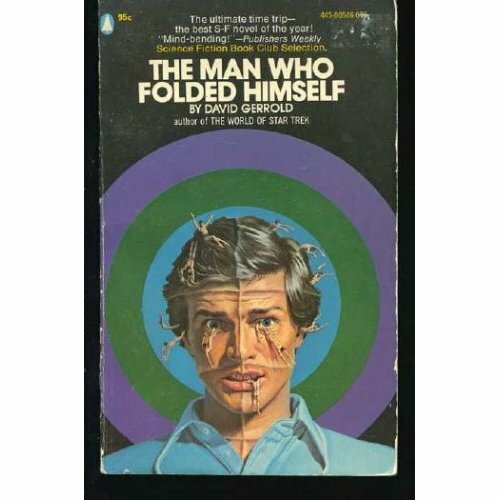 So Judson Daniel Elliott played by the book. Then he met a lusty Greek in Byzantium who showed him how rules were made to be broken…and set him on a family-history-go-round that would change his past and his future forever!